Need an experienced Real Estate Agent in Las Vegas to help you find a home? Call Kym: 702-525-5498. Whether just out of college, landed your dream job or starting a family, now’s the perfect time for you to purchase your first home. 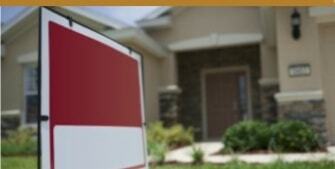 Having suffered a bankruptcy, you may think you’re denied ever owning a home again. Fortunately, you CAN. See what options are available. Ready to move on up? Luxury awaits you in homes offering the latest in upscale living, fine dining and entertainment for your family. 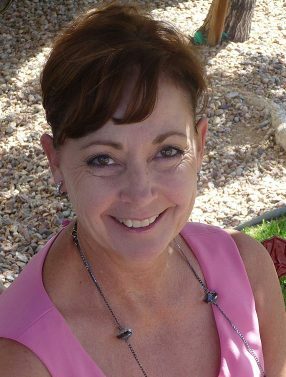 As a lifelong resident and professional Real Estate Agent in Las Vegas, Kym knows the Southern Nevada community well and how to leverage years of relationships on behalf of her real estate clients. Though most of Kym’s success is built on the referrals of her satisfied clients, she enjoys cultivating new relationships. Why Use Kym as Your Las Vegas REALTOR? Available seven days per week and will accommodate all shift schedules. An extensive network of exclusive resources to benefit clientele. CNE – Certified Negotiation Expert negotiating for your best interests. No Hidden Fees – You will not be charged any administrative fees or upfront costs. Out of the country buyer - Seller!I work with you before and I'm working with her again! I guess that says it all. She proved to be perseverant, patient and knowledgeable. As an out of the country buyer/Seller, she worked hard and crazy hours to make things happen, any did because of her commitment. She also took the time to know me and my preferences and was able to guide me in the process. Moreover, being a woman, and being in the real estate business for so long myself, she kept an open mind to my ideas and suggestions. She made it easy to discuss matters between professionals from different countries. A wonderful partner! Experience with Kym, our RealtorWe moved from Seattle about 10 months ago and luckily we found Kym to work with us. We decided to rent in Las Vegas to make sure we liked the area. Kym did a very professional job helping us find a rental home in Sun City Summerlin and when we are ready to buy I'm confident she will do an excellent job for us. Kym is very intelligent, knows her business thoroughly is very honest and personable. We really enjoyed working with her! Great experienceKym was very professional and always ready when we needed her. 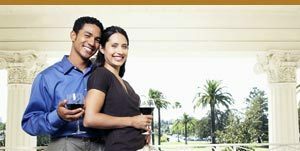 She made selling our home and buying our home go very smoothly. I would definitely recommend her. The only Realtor I will useKym is amazing! She is knowledgeable, resourceful, and patient. As a first-time buyer, Kym helped me find "my perfect home" it was a short sale and Kym help me understand the complication surrounding that. I referred him to a good friend who needed to sell his home she got it sold immediately. When looking to purchase again, I will definitely use Kym as my Realtor. Excellent Service, Friendly Kym is very professional, exceptional and respectful. She sold two houses for me at a time I was in and out of the country and had very little time. She handled everything and all transactions went without a hitch. At least I didn't know if there were any problems behind the scenes. Kym is friendly and efficient. If you have a questions or need information and she isn't sure the answer, she does extensive research' so that she does know. She's very well-informed. She goes above and beyond any realtor I've ever worked with amnd will make sure your house sale ready. If I ever buy or sell another home, Kym is the only real tour I will contact.